What do you usually use for taking every-day photos or videos? Many of us would not really bother taking out our digital cameras out and will use their smartphone's little shooter instead. Under well-lit conditions, the cameras, which modern handhelds are equipped with, are great for casual photography, but could they be really becoming more popular than DSLRs? According to Flickr, Apple's iPhone 4 appears to be close to becoming the most widely used digital camera and it is second only to the Nikon D90 SLR. The statistical data, provided by Yahoo's photo sharing service, goes to show that the number of people uploading photos taken with an iPhone 4 has been rising significantly over the past year or so. Apple's latest smartphone tops the handheld charts as well, which means that it is probably the most popular cameraphone in the world right now. We cannot deny that the iPhone 4 has a great camera indeed, but a couple of things need to be mentioned before making any final conclusions. Flickr's statistics take into account only those photos, which provide information about the camera that they have been taken with. 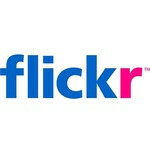 About two out of three digital photographs, which Flickr users upload, have the camera's make and model listed in their EXIF data. Besides that, only photos taken over the past one year are taken into consideration by the service while estimating camera popularity. Nevertheless, it is clear that over time, cameraphones are becoming more and more popular among amateur photographers due to their portability and ease of use. Are you among those who have ditched their point-and-shoot cameras in favor of their shiny smartphone's shooter? Feel free to let us know in the comments below. My wife uses Flickr so much, I get the "privilege" of paying once a year for the premium service. No iPhones here, though. very fake! iPhone has very bad cam. only 5MP!